Do you enjoy birds, butterflies, and wildflowers? Would you like to help protect them? Come help us remove invasive plants ! 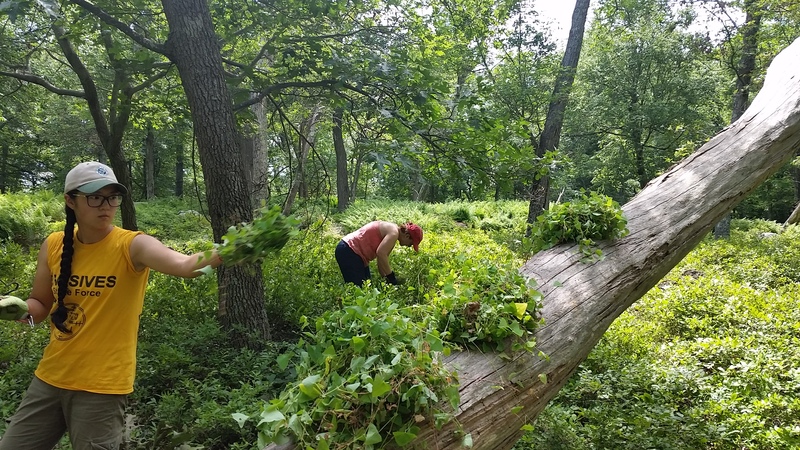 Join the Trail Conference's Mile-a-minute Project of the Hudson Valley coordinator as we remove invasive plants at an infestation in Lagrangeville, Dutchess county. We are controlling this population to help prevent it from spreading further north in New York. Mile-a-minute vine is easy to pull but time is short before it begins to set seed. Anyone can participate. No experience is necessary; we provide on-the-job training. You will need to bring leather work gloves, plenty of water and a lunch you can eat on the trails. We provide the tools. You don't need to stay the whole time, just spend as much time as you can helping pull.